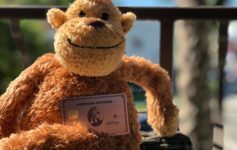 Home » Credit Cards » Looking for uncredited Amex points? Did you know you can check their status? Looking for uncredited Amex points? Did you know you can check their status? Last month I made some purchases on my Amex Platinum Mercedes that I was expecting to boost my balance roughly 22k points. They were earned from some mileage purchases I’d done when Avianca was having an incredible sale on both their miles and their first class redemptions. Since these were done directly with the airline, I’d earn 5x points. Typically, points don’t post until the purchases they’ve been accrued on have been paid. However, my statement closed and even after paying the bill, my points still haven’t posted. I decided to check on their status and thought it’d be helpful to walk through exactly how you can check if you find yourself in a similar situation. At least I know that Amex’s IT has recognized that I’m owed the points and that they are in the process of getting credited. If I didn’t see them pending I’d reach out to Amex via chat ( so I have a record ) and file a request to have them credited. Additionally…DOC wrote an entire piece about a signup “bonus tracker” that is rolling out. Doesn’t look like it’s populating everyone’s account, but if you’re looking for that particular status it appears Amex is rolling out a tracker specifically for that as well. I can’t imagine a situation where this will ever be rolled out as it would violate privacy policies and easily indicate that a potential referral had been declined, etc.